With the Ocean Instagram extension, you need to generate an access token to display your photos. 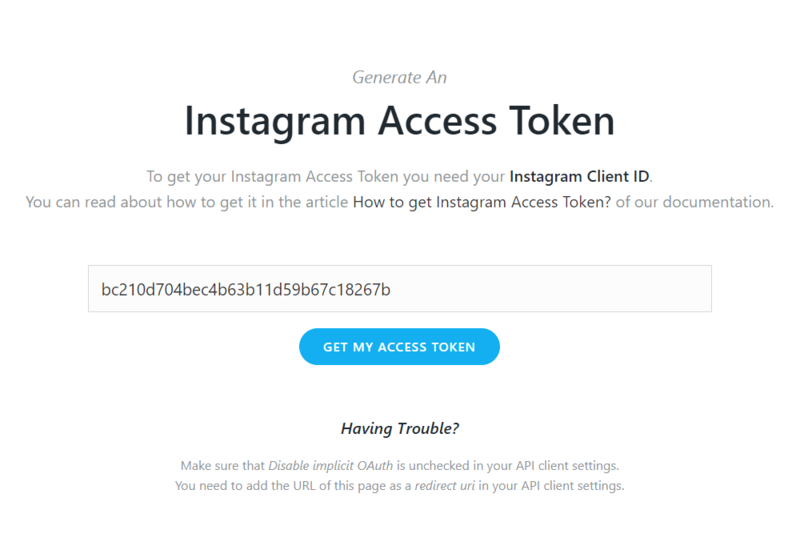 This tutorial is a quick breakdown of the steps to get the Access Token and you don’t have to be a coder or developer to follow most of these steps. 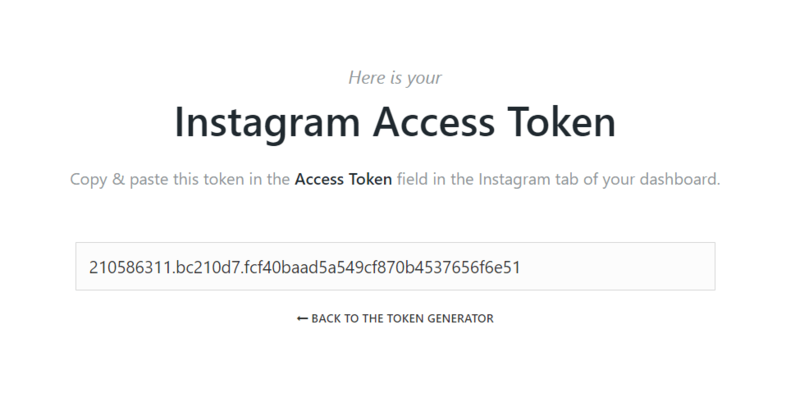 Before getting your Access Token you have to register as a developer in Instagram and to receive Client ID. Please visit https://www.instagram.com/developer and register a new app. 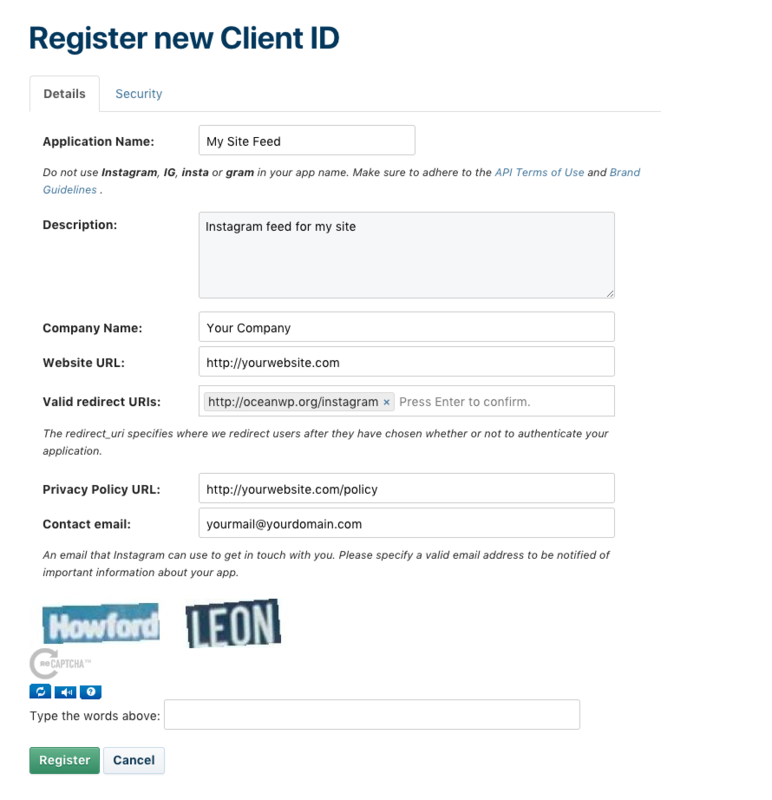 To get a Client ID you need to be registered on Instagram. Create an account or log in using the existing account to pass on to the next step. 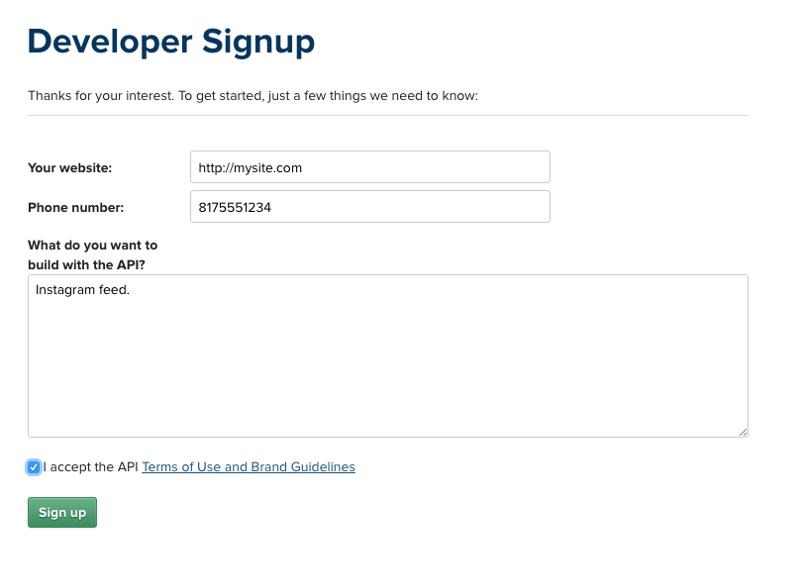 Go to Manage Clients, and hit Register a New Client to register and gain API access. The next step is filling the form with your website data. 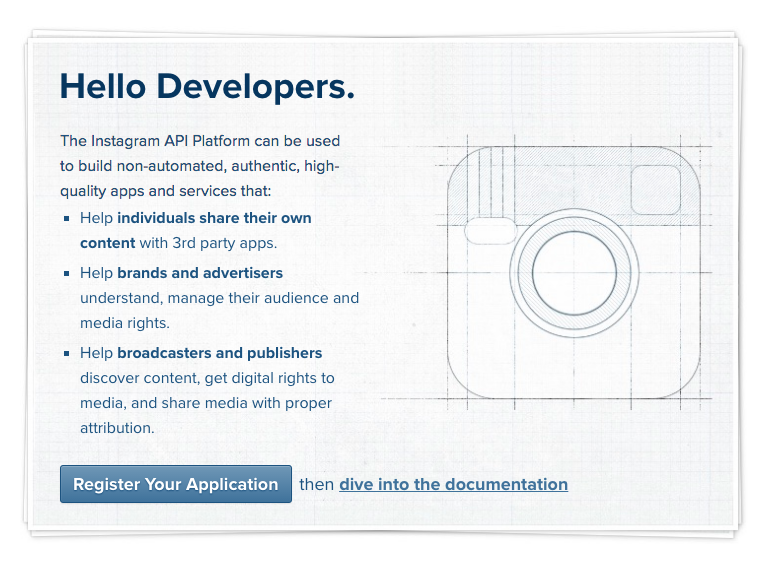 Application name – choose any appropriate name, which fits Instagram requirements. Description – any short description. Website URL – your website where you display the Instagram feed. Copy the Client ID here, or at least keep this tab open, you will need the Client ID to generate the Access Token. 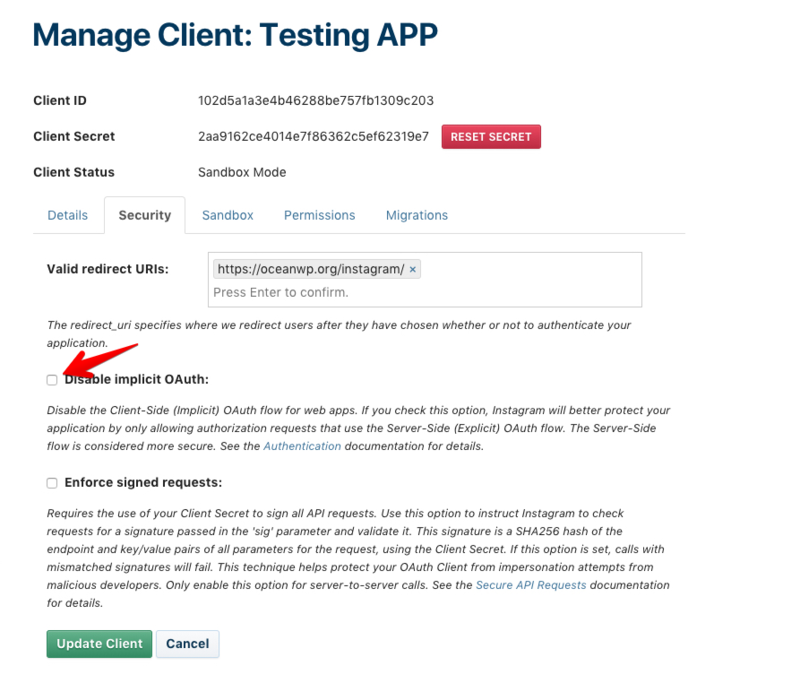 Click Manage on your app from the Manage Clients screen, then open the Security tab and uncheck the Disable Implicit OAuth since we’d like the public to be able to see our feed. Сopy your new Instagram Client ID then go to this page and paste your Client ID there. 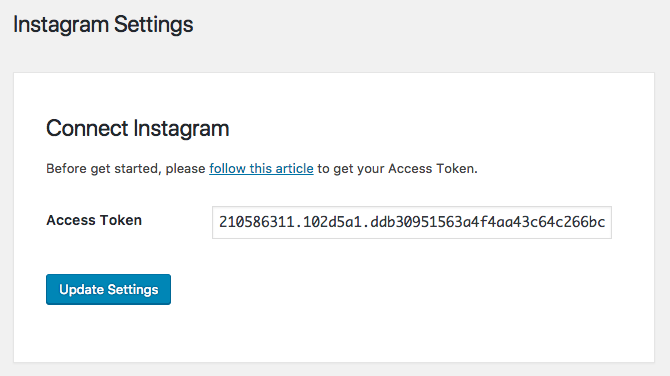 The last step is, go to the Instagram tab of your dashboard and copy the Access Token to the input box provided. Then you are ready to display your Instagram Feed on your website!